TAHOE. Quality Boats Across the Entire Line. Top-of-the-line craftsmanship for top-of-the-line fun. 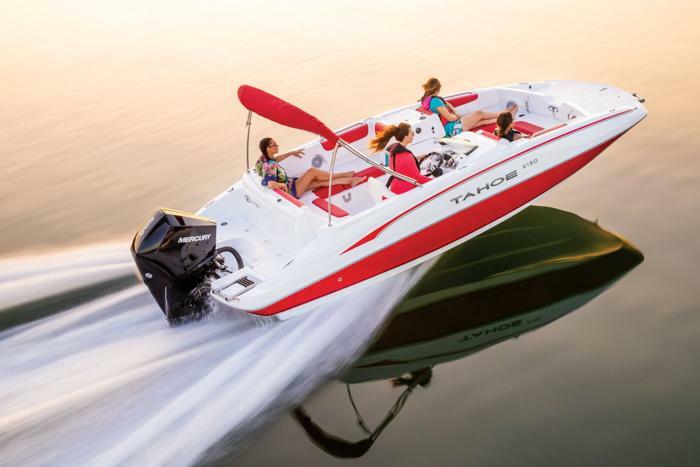 TAHOE® Boats is dedicated to crafting only the highest-quality boats possible, so you and your crew can experience the best on-the-water adventures. It all starts at our state-of-the-art fiberglass boat plant, where highly trained craftsmen meticulously build, rig and quality check every boat through the entire process. Molds are kept buffed to a high sheen to produce the brilliant and rich finishes TAHOE is known for. Fiberglass hulls, decks and components are carefully measured and laid out to ensure proper thickness for maximum strength and durability. Every engine compartment interior is completed gel-coated and finished for easy cleanup. The marine-grade hardware, accessories and instrumentation is all selected from the industry’s leading suppliers and factory installed. Even the furniture is carefully crafted by our skilled crew for perfect fit and the utmost comfort and class. That’s how TAHOE creates top-quality boats that’ll help you create top-quality memories for years to come! The 2019 Tahoe 450 TF fish and ski package, starting at $25,995. For those who want the sleek lines and sporty performance of a fiberglass runabout, but also want to fish, the TAHOE Fish Series is just what the anglers ordered. 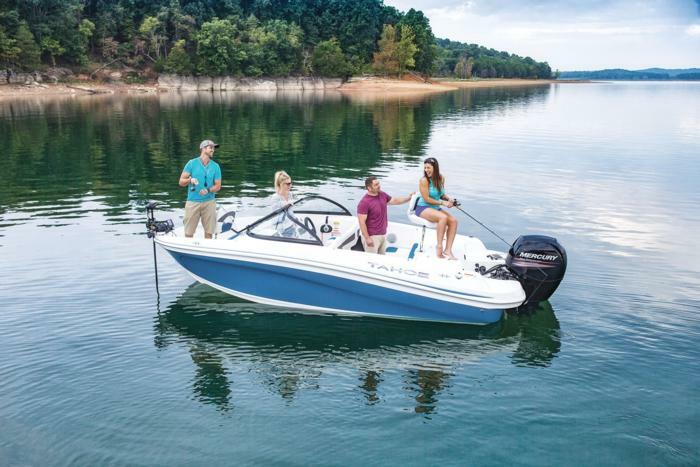 True to our family’s fishing heritage, all three models add a trolling motor, aerated livewell and fishing chairs to all the standard TAHOE style, comfort and performance features. 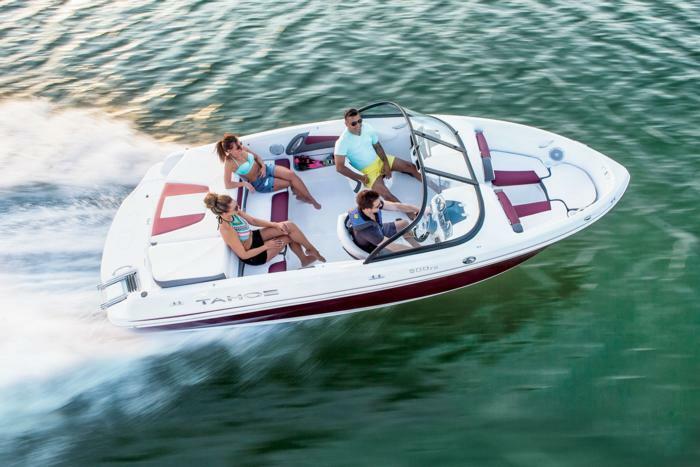 The 2019 Tahoe 2150 Deck Boat. Available with optional wake tower, fishing package, and more! Do you need pontoon-level amounts of room, but still want the holeshot and nimbleness of a sport boat? Check out our Deck Series. Each of the four models features an 8′ 6″ beam that allows for a ton of interior seating and space. Plus, they all feature an aerated livewell, while 195 and 215 Xi also add fishing chairs. Or, choose the outboard-powered 1950 and 2150 to get a standard ski tow pylon.